I have in my possesion a bible that belonged to Rev John Babbington, brother-in-law to Charlotte Elliott. He was buried in the Elliott tomb which included Charlotte and her two brothers. I am trying to find the gravestone of George Gallard who was supposed to have been buried in Old St Andrews back in 1889; does anyone know where the gravestone might be? I have the original of my great-grandparents’ marriage certificate which shows that they were married in this church on December 29, 1866 by Rector Walter Kelly. I was once told that a Mr Everest, after whom the mountain was named, is buried here…..
Wilkipedia confirms the fact that Sir George Everest, Welsh surveyor, geographer, and Surveyor General for India from 1830 – 1843, died on 1st. 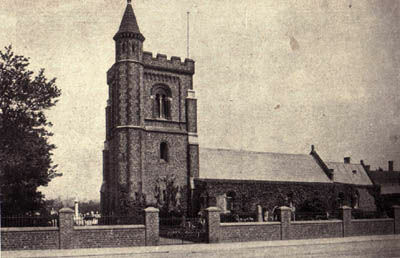 December 1866 and was interred at St. Andrew’s, Hove.